"We've seen a tremendous amount of growth the last few years, and the unemployment rate is incredibly low right now. 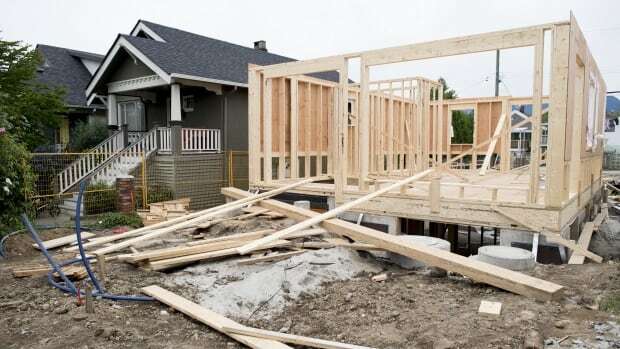 So it certainly signals full employment in many sectors, which is certainly positive for consumers, for housing demand," noted the chief economist for the B.C. Housing agency said Friday higher mortgage rates and other economic conditions have softened demand! The annual pace of housing starts slowed in February as higher mortgage rates and less stimulative economic conditions helped soften demand, Canada Mortgage and Housing Corp. said Friday. Our REALTORS ® will always take the time to review and answer any questions you may have about a Title Search. However, sometimes you may want to know more or seek a second opinion on what the heck it all means. Tony Spagnuolo, President of Spagnuolo & Company Real Estate Lawyers, explains what you should look for when reading a title search in British Columbia. Home staging is all about depersonalizing and adding some new things to make a better impression on potential buyers. But most sellers either don’t put in enough effort or simply overspend on the wrong things. So, we’re here today to help you keep balance with these five home staging details that will totally charm potential buyers. The president of the Kamloops and District Real Estate Association does not expect the city’s housing market to cool like those in other parts of B.C. Kamloops recorded 180 sales in February, down 8.2 per cent from 196 12 months earlier. Year-to-date sales are almost identical to 2018. New listings are down significantly, though — 248 last month compared to 348 in February 2018. “Overall inventory is up 2.5 per cent, but we see that number decreasing because of the lack of new listings,” Quinton said. Team Cavaliere—River City Realty is proud to present the Kamloops Spring Sprint 2017! We've chosen to sponsor this exciting event, coming up on June 11, 2017, for a variety of reasons: the most important being that we love joining in on the city's best community events! The race kicks off in the sparkling waters of the Brock Outdoor Pool on Fleetwood Avenue, continuing into cycling and running courses that wind their well-planned ways through North Kamloops against a gorgeous backdrop of clear azure water, sun-soaked patios, and lush mountains that presents the perfect distraction from your screaming thighs, burning lungs, and sweaty brow! The May 9th provincial election is a perfect opportunity to address some of the critical housing issues in B.C., according to the BCREA publication, The Bulletin. The issue of housing affordability has been at the forefront of the discussions of many British Columbians, especially when it comes to lower-income demographics such as millennials and seniors, so the BCREA expects the topic to be discussed at length on the campaign trails of all major political parties over the next couple of months.